Markham Infiniti | Blog | Markham Infiniti Reviews the 2017 QX60 AWD! Markham Infiniti Reviews the 2017 QX60 AWD! The 2017 Infiniti QX60 AWD is luxury SUV driving at its finest! It is powered by a 3.5-litre V6 direct injection engine. The DOHC engine featuring four valves per cylinder and CVTCS delivers a mileage of 8.2 km/l on city roads and 11.2 km/l on highways. The Infiniti QX60 AWD can generate 295 horsepower at 6,400 rpm and 270 lb-ft of torque at 4,800 rpm. The QX60 has an intelligent all-wheel drive system with video assist, electronically controlled Continuously Variable Transmission (CVT) with manual shift, Infiniti Drive Mode Selector offering Standard, Sport, Snow and Eco modes with a towing capacity of 2268 kg. There is a speed sensitive power steering facilitating a turning diameter of 11.8 metres or 38.7 feet. There are standard independent strut front suspension with coil springs, shock absorbers and stabilizer bar. The rear suspension is independent multilink with coil springs, shock absorbers and stabilizer bar. All wheels have ventilated disc brakes with anti-braking system. Check our inventory. The QX60 AWD has bifunctional xenon headlights with automatic high intensity discharge, LED running lights, LED fog lights, LED brake lights in the rear and a centre mounted stoplight. 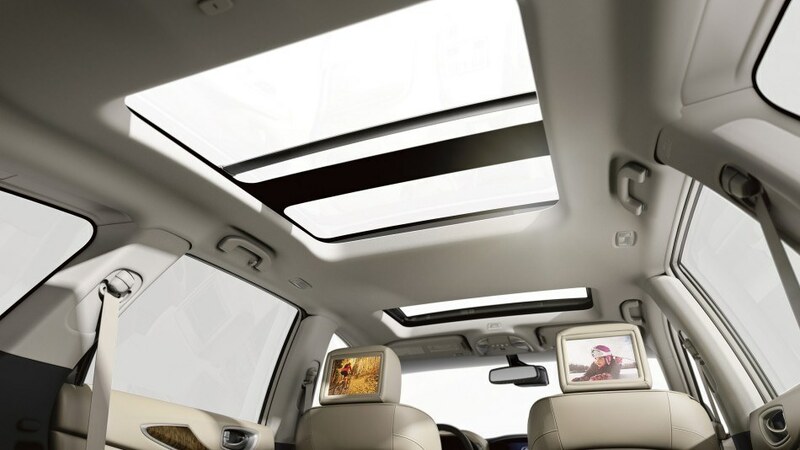 The glass moon roof is tinted and is powered to slide open and close, to tilt and to take a sliding sunshade position. The QX60 ticks all the checkboxes for standard features including power rear lift-gate, roof rails, integrated rear spoiler, UV resistive solar glass, privacy glass at the rear, courtesy lights at the front door handle, powered foldable heated mirrors with integrated turn signal, speed-sensitive front windshield wipers with flat blades and rear window intermittent wiper including defroster with timer. 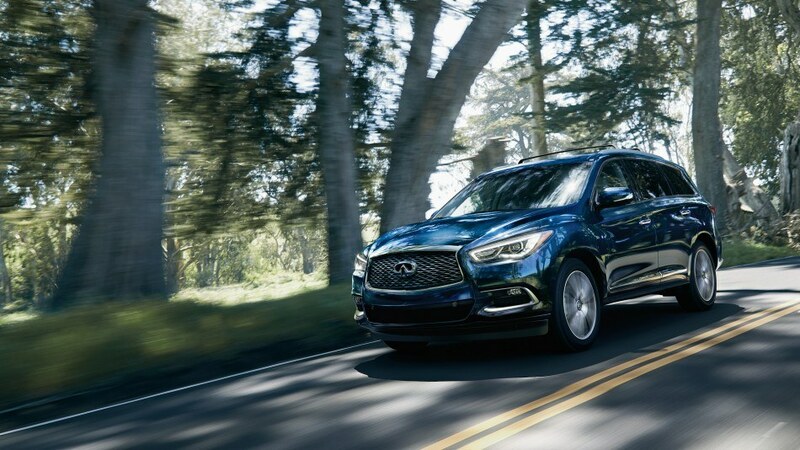 The 2017 Infiniti QX60 AWD sports impressive interiors including leather seats, the driver’s seat is powered and eight way adjustable, the front passenger’s seat is powered and can be adjusted six ways. There are three USB ports, the front seats are heated and so is the steering wheel, the second row seat can be split and folded, the third row is easily accessible facilitated by the multi-mode second row seat, the third row has 50/50 split and folding seat with recline. 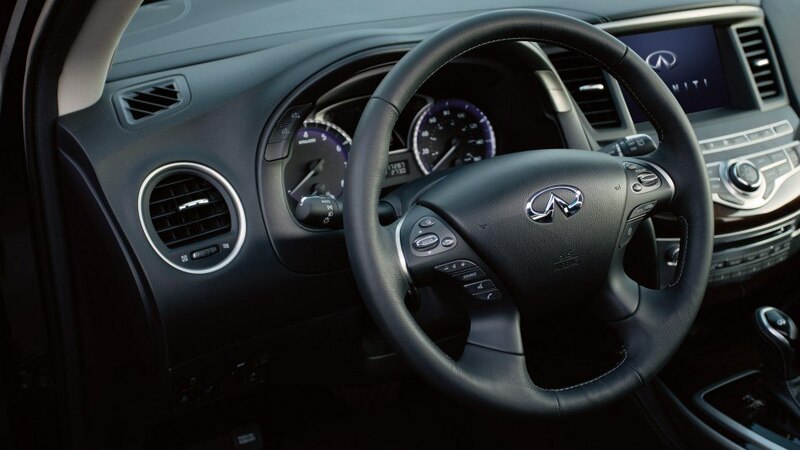 The QX60 AWD has a six speaker audio system, Bluetooth, SiriusXM Satellite Radio, SMS/Email on Infiniti InTouch Single Display, Fine Vision electroluminescent gauges, Infiniti Hard Drive Navigation System, Infiniti Voice Recognition and RearView Monitor. 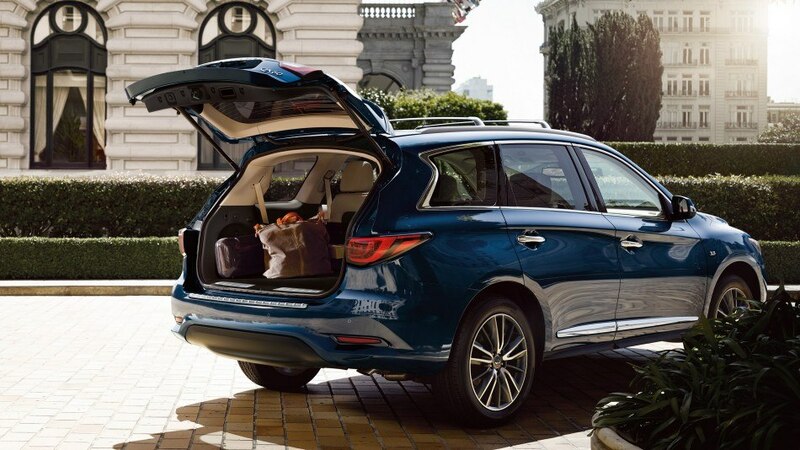 The 2017 Infiniti QX60 AWD comes with Infiniti Air Bag System including front supplemental air bags that are empowered by sensors for the seat belt and occupant-classification. There are side impact airbags for driver and front passenger mounted in the seats, roof mounted airbags, LATCH System, EBD, Brake Assist and four-wheel ABS. 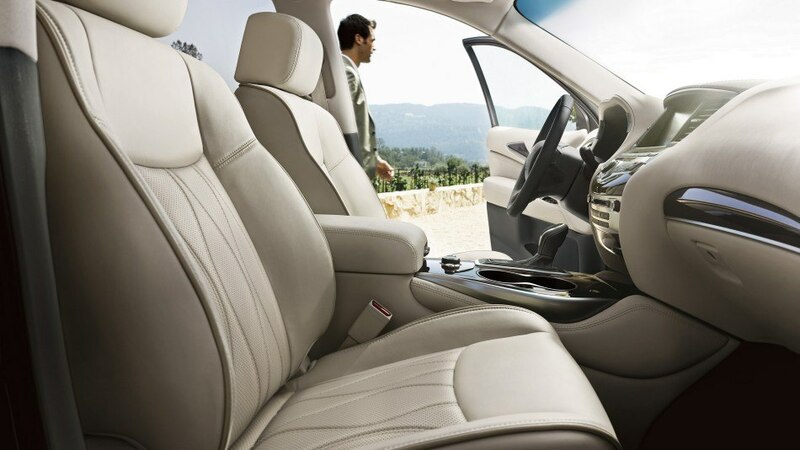 All in all, this luxury SUV is one great drive! If you’re in the Toronto, Scarborough or Markham area, then we invite to test drive this outstanding SUV at Markham Infiniti today! View the 2017 QX60 AWD on Infiniti Canada.